A simple pallet for the sky watch gallery this week, from a quiet morning watching the sun creep up on a beautiful blue sky day. Happy Weekend everyone, click the Sky Watch link to see what 100s of bloggers from all over have found in their sky this week. Art Galleries come in all kinds of shapes and sizes, Anke Humpert hosted a tutorial recently for travel altars. 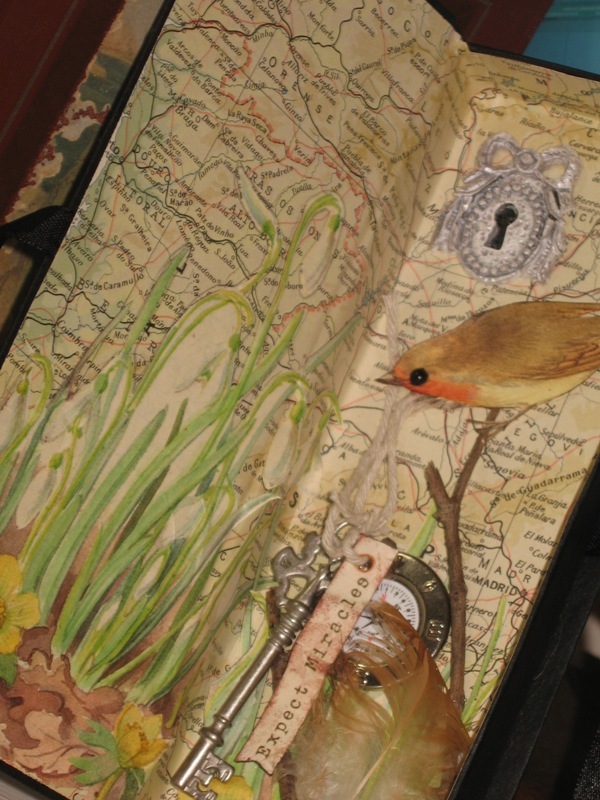 It was the best fun creating this little keepsake to remember no matter how far we travel, what is really important. 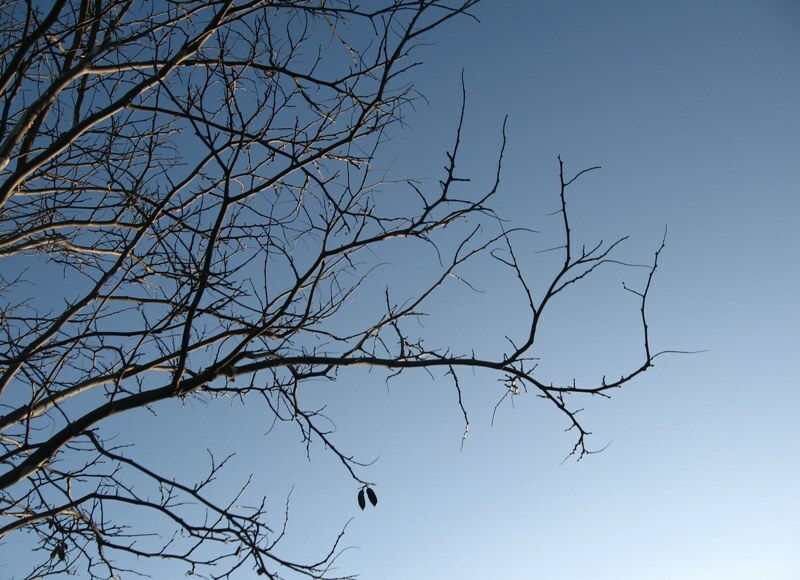 Beautiful shot of branches of the tree against the blue sky. Great words that go well with the photo. Have a nice weekend! Hi Mandy, I do agree with those words and I love your capture a perfect sky enhanced by a tree its branches reaching into the blue. It is a very poetic photo. It really does look very quiet!<br /><br />Happy SWF! Looks peaceful and delightful, Mandy! I love the way bare branches look against the sky. Lovely shot. first time i&#39;m hearing this rwe quote and all along i was thinking the same thoughts. so true. Simply gorgeous! <br /><br />have a gret weekend. Beautiful light on that delicate tracery. Nice words, too…. Hiya Mandy,<br />I&#39;m glad somebody said it(Emerson).<br />Yesterday I tried to find just such a decorative branch, against what was a rare blue sky.Yours looks great. Thank you SO much for stopping by my site and leaving your lovely &#39;footprint&#39;.<br /><br />I loved visiting your site…. exquisite photos…. beautiful blog! Great photo and thanks for stopping by my site! Nice quote and beautiful skywatch picture. I like shots that are made looking up. Gorgeous shot! 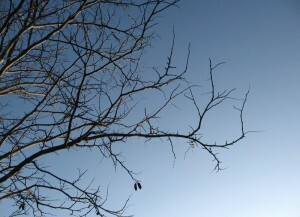 I love the way bare branches look against the sky. Love the quote too…. so true isn&#39;t it!<br />Hope you&#39;re having a wonderful Thanksgiving weekend! Emerson said it well! simple blue sky–jut lovely!<br />cool artwork! Leave a Reply to Diana (Di) Click here to cancel reply.